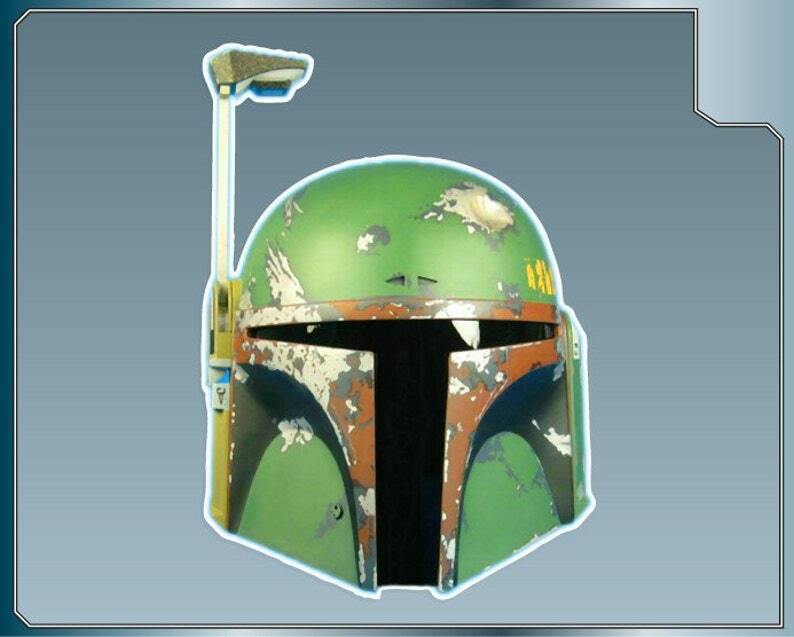 This is a Boba Fett Helmet from Star Wars vinyl decal sticker. Awesome!!!! These look amazing and the material is the best!!!! Very professional and super fast!!!! I'm looking forward to our next transaction!!! SPLATTER MEDAL vinyl decal from Halo Sticker for just about Anything! BEEMO vinyl decal from Adventure Time Sticker for Just about Anything!